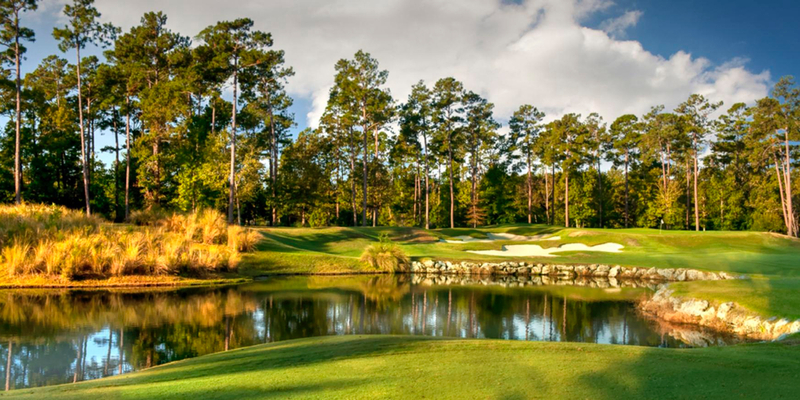 The newest golf course in the Wilmington NC area, Cape Fear National at Brunswick Forest offers 18-holes of premium public golf in a setting of unmatched beauty. Located in Brunswick Forest, the Coastal South's fastest growing community, Cape Fear National is just 10 minutes south of historic downtown Wilmington and 45 minutes north of Myrtle Beach off of US 17, making it an ideal stop for golfers on their way into or out of Myrtle Beach. Please call 910-383-3283 for current rates. Call 910-383-3283 for rates and tee times. Contact Cape Fear National at Brunswick Forest at 910-383-3283 for more information and details on holding a golf outing at the course. The clubhouse at Cape Fear National is designed and staffed to exceed your expectations. Rivaling the ambience of a private facility, Cape Fear National is sought after for banquets, private parties, business meetings and luncheons, rehearsal dinners, receptions and weddings. No matter the occassion, we will make sure your event leaves an impression in your guests' minds for years to come. The 7,000 square foot Cape Fear National clubhouse offers the perfect venue for you to celebrate your special events. It can be used for your most intimate gatherings or can be combined with the Club's beautiful patios and terraces for more social events. And of course, the breathtaking views of the Cape Fear National Golf Course provide the perfect natural backdrop for any occasion. If an outdoor, natural setting is what you seek, our covered terrace and private porch are great for after hour business gatherings, happy hours, celebrations and association meetings. For larger groups, Cape Fear National offers an event lawn adjacent to the clubhouse. This area is the perfect location to place an outdoor tent that can be decorated to meet your needs. With the great North Carolina weather, the outdoor areas can be used almost year round. Contact Cape Fear National at Brunswick Forest at 910-383-3283. Contact Cape Fear National at Brunswick Forest at 910-383-3283 for onsite or nearby dining options. This profile was last updated on 11/07/2016 and has been viewed 7,255 times.